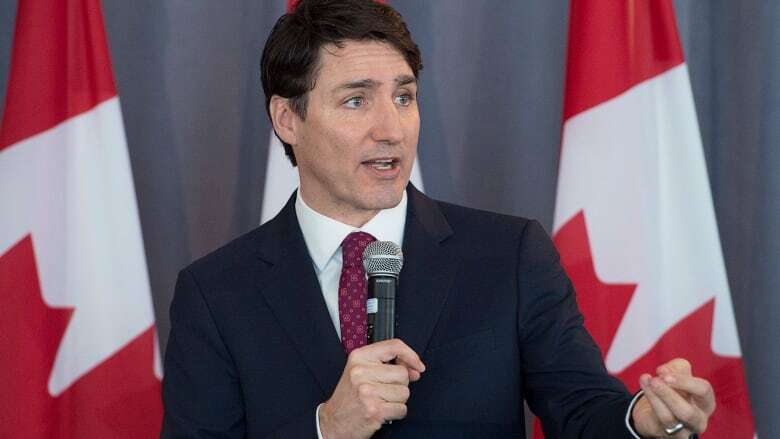 Prime Minister Justin Trudeau said today he's still reflecting on whether Jody Wilson-Raybould can remain in the Liberal caucus, one day after the MP central to the SNC-Lavalin affair publicly confirmed she's seeking re-election as a Liberal candidate. "This is obviously not a situation or a decision to be taken lightly and we will continue to reflect and work on this issue," Trudeau said during a funding announcement in Charlottetown. Wilson-Raybould confirmed on the weekend that she intends to run under the Liberal banner in the fall election. "I have been confirmed as the LPC [Liberal Party of Canada] candidate for Vancouver Granville for the federal election 2019," Wilson-Raybould told CBC News in an email. She would not comment further and said she isn't conducting interviews right now. Last week, Wilson-Raybould told the Commons justice committee she faced intense political pressure and veiled threats from top Liberal officials who wanted her to allow SNC-Lavalin to avoid a criminal trial on bribery charges. SNC-Lavalin was facing corruption charges over contracts in Libya and was lobbying for a remediation agreement as an alternative to criminal prosecution. Gerry Butts, the prime minister's close personal friend and former principal secretary, has been confirmed to appear as a witness Wednesday before the justice committee probing the SNC-Lavalin affair. He is scheduled to address the committee for two hours beginning at 10 a.m. ET. Butts resigned from the PMO on Feb. 18 amid allegations he and others exerted political interference on Wilson-Raybould to override the Public Prosecution Service director's decision to prosecute SNC-Lavalin. "At all times, I and those around me acted with integrity and a singular focus on the best interests of all Canadians," Butts said in a statement at the time. In her testimony before committee, Wilson-Raybould gave her description of a meeting with Butts on Dec. 5, 2018. She said she wanted to speak to him about several things, including the barrage of people "hounding" her and her staff about the impact of prosecuting SNC-Lavalin. "Towards the end of the meeting I raised how I needed everyone to stop talking to me about SNC as I had made up my mind and the engagements were inappropriate," she testified. "Gerry then took over the conversation and said how we need a solution on the SNC stuff — he said I needed to find a solution." Wilson-Raybould said she was pressed by 11 PMO and other government officials, who continued to remind her of the economic and political consequences after she had decided to proceed with the prosecution. The scandal has opened a debate over whether the position of attorney general should be kept separate from that of the justice minister, and whether the AG should be independent of cabinet. Asked about that idea today, Trudeau said significant changes like that would require reflection and analysis. "It's not something to do on a whim or as a minor thing. It's something to take very carefully and responsibly," he said.